I’ll answer any questions you have about my practice; how it differs from such interventions as physical therapy, chiropractic, psychotherapy or traditional deep tissue Rolfing®. We’ll discuss what I think our potential for success is. I will never suggest an appointment unless I feel we have a good chance for improvement. If you wish, we will schedule an appointment. I usually book two to three weeks in advance and then put people on a waiting list. If the problem you are confronting is especially painful or difficult, I'll try to get you in as soon as I can – often that week or the next. When you come to the office, I take a brief history. I watch you move: in the chair, walking across the room, doing an activity such as reaching or picking something up. People who are injured, or emotionally expect to be injured, move their bodies in predictable ways: they guard the area in pain to preclude further pain. I want to know if the problem you are experiencing is something I can see. I will ask you to sit on the table and will usually do some orthopedic range and quality of motion tests. I need to know if I can sense in your body what I have seen in your movement. What you say, what I see and what I feel all have to be congruent. If, for instance, you are speaking of pain in your left leg and what I see is guarding around the right, we need to know what is causing the guarding. Is there more than one issue? Am I missing something? If everything is congruent, I ask you to lie down on the table (people are fully dressed.) Sitting at either your head or your feet, I will sense more deeply into the internal movements your body is making. It is somewhat similar to what happens in a doctor’s office when you have your pulse taken – except I will continue following the internal movements for much longer. Usually, I will see a new client one to three times. At the end of those sessions we will have determined three very important things: First, we should know, with some reliability, precisely what is going on with you. If you have MRIs or other reports, I will look at them and try to explain what I understand from the tests you have done. Although I am not a physician and what I say should never be taken as a medical diagnosis, I have an unusual combination of training, skills and experience. I am able to “speak the language” of neurosurgery and orthopedics, of chiropractic and physical therapy. Though I am not a psychologist, I have studied and worked with the psychological component of trauma and its effect on structural patterns in our bodies. While I am not a religious or spiritual teacher, I have some understanding of the spiritual aspect - our sense of who we truly are - and how it impacts us. By the end of a session or two, we should know how you have adapted to life’s various injuries, where precisely the source of your distress is located and what may be causing it. Being able to see and understand the specific pattern your body has taken in response to an injury is often critical to our ability to understand and heal both the injury and the factors which may have contributed to it. We need to be able to see and feel if, for instance, an emotional restriction is in your throat as opposed to your chest or jaw. Which mechanical structure is causing your pain - the disk, the facet, the muscle - or all three? Is the problem in your left foot part of what’s going on in your left low back or are they separate issues that just happen to be on the same side? The location of the restriction will be personal to you, determined by the patterns in your body prior to, at the moment of, and in subsequent response to, the traumatic event or events. Trauma, in my definition, is not necessarily the result of a terrible accident or physical or emotional abuse. Trauma creates protective structural patterns. It keeps you from previous states of freedom and, unless change occurs, probably always will. There is no set way or place where everyone struggles. Our patterns may be similar but, in the end, they are individual. Within one to three appointments we’ll have some comprehension of what issues – mechanical, emotional, cultural, energetic – may have predisposed you to, or are now prolonging, the problem. In short, we should have a multi-level understanding of what is going on. The second thing we will determine is whether the work I do will make a significant difference to your healing. There is no sense in you coming to see me over and over, spending time, energy, finances and hope (all four of which have finite limits) unless we are going to make a significant change. Your issue may not fully heal by the third session but we will know whether there is a good chance of major improvement in a reasonable amount of time. At the end of the initial visit or visits we will make a clear headed assessment of where you are and plan the strategy going forward. I will not suggest more sessions unless we see progress. I am here to help you achieve the goals you set when we begin working. Most times we will be successful in achieving those goals. But unfortunately, sometimes we won’t be. No matter what the magazines and advertisements say about miracle cures, for some people getting better is a long road. This hard truth is difficult for both practitioner and client. It is a matter of sincere regret that it is not always explained clearly and honestly. There is a therapeutic expectation that 60% of the people one sees will get better if the practitioner tells them to “take two aspirin and call me next week.” The job for a skilled practitioner is to increase that percentage. How does one get to 63, 65, 68% effectiveness? At this stage of my practice approximately 80-85% of the people I see say they have had significant improvement. That relatively very good number still leaves many people who will have only short term relief. As I said, this difficult truth must be discussed. If you are one of those whom I cannot help in a reasonable amount of time, it is professionally and ethically imperative I let you know sooner rather than later. In the event we don’t feel we will make significant change, it is my job to help you find the person or persons who will get you where you want to go. (Along with figuring out what is going on and deciding whether I am the best person to help you, this is the third determination we will make.) After thirty-five plus years as a practitioner, it is ever more clear to me I don’t have all the answers. What I do have, created over many years, is a network of some of the very best providers in the New England area – from neurosurgeons to chiropractors to acupuncturists to traditional Rolfers, movement teachers, psychiatrists, energy healers and many more. 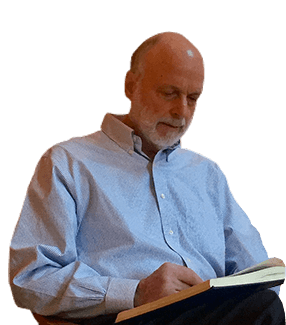 There are approximately seventy-five practitioners to whom I regularly refer and I am constantly refining the list. This third determination – as not only an experienced practitioner but as a kind of consultant assisting you traverse the confusing and sometimes distressing world of health care - is, as far as I can tell, another of the unusual elements of my practice. In the event we haven’t or don’t think we will make significant change, I encourage you to ask me to help you strategize your healing process. I believe I have a deep appreciation for the struggles we make in getting ourselves better. I think I understand the process by which change occurs and may be of considerable assistance in explaining what is going on and what can and should be done. For some people, this conversation may be one of the most important contributions to their recovery. As I wrote in a paper I gave at an American Back Society Conference years ago (Interdisciplinary Relationships in the Treatment of Chronic Back Pain – also on my website), healing chronic physical and emotional structural issues is often not a linear process by which one goes from injured to fixed. Usually one doesn’t go from “totally wretched” to “completely healed.” From totally wretched we go to “not too bad” to “pretty good” to “feeling great.” It is, by definition, a process. I know what it is like; I’ve been there. “The best practitioners,” I wrote, “are knowledgeable, skillful, compassionate, cheerleaders.” They know what they are doing, they are good at it, they care about you and they will help you throughout the process. Mine is a service profession. Healing is something you do; if I can, I would be honored to help.